Fortune Faeries was founded in 1983. Artist / Sculptor / Ceramacist Karen van Kalmthout creates upstairs in the shop. Where every piece is Sculptured with Love. 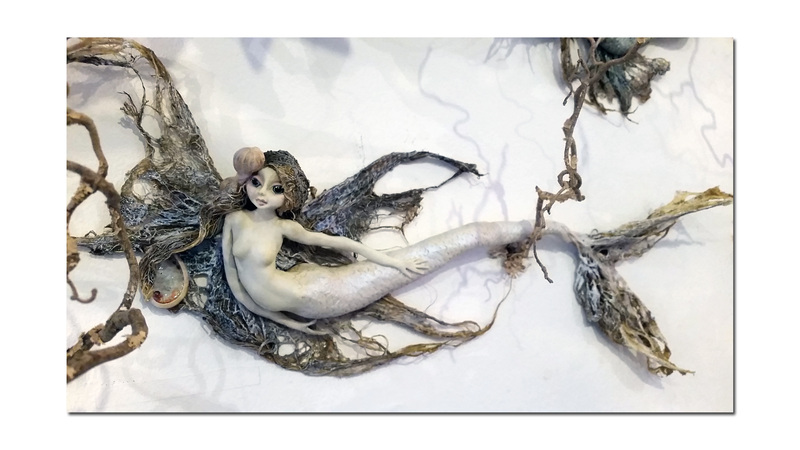 Karen has developed her expertise over the past 33 years in hand sculpting OOAK pieces in the realm of her Magical Fantasy Imaginations. Using mixed media and Fine English Porcelain fired in Kilns to Stoneware temperatures. "Where I have been, what i feel and how I believe is sculptured with infinite possibilities open to the imagination of the beholder. Intent to reach parts of the soul which slumber in forgotten realms. May my work stir in you, these places of childhood innocence reminding you of this forgotten time, a place that grants all of us the same.....The Imagination. 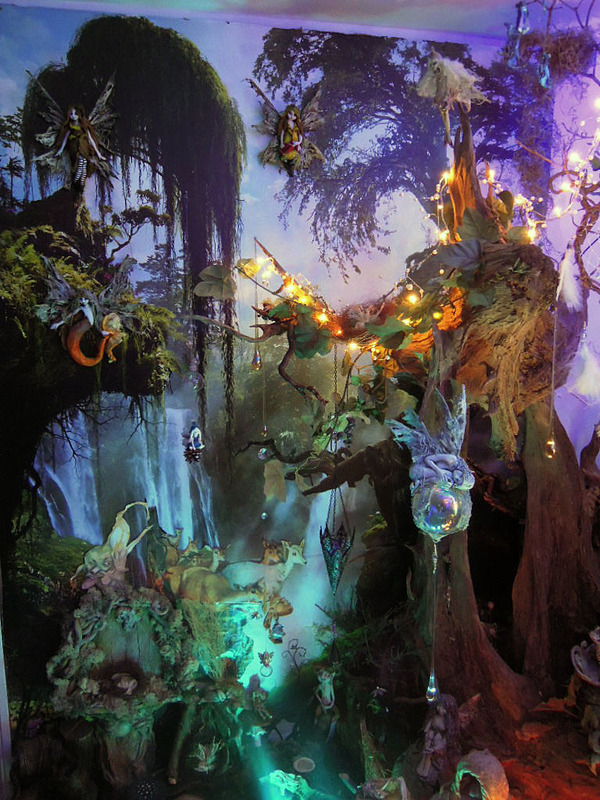 A PANorama of magic accessible through Nature, Elemental Beings and Spirit Wonder realities." 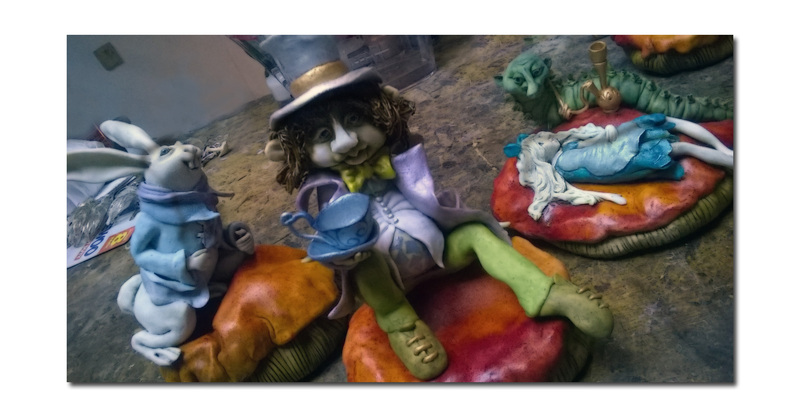 I also love to teach children to make their own unique ceramic faery~dwelling. 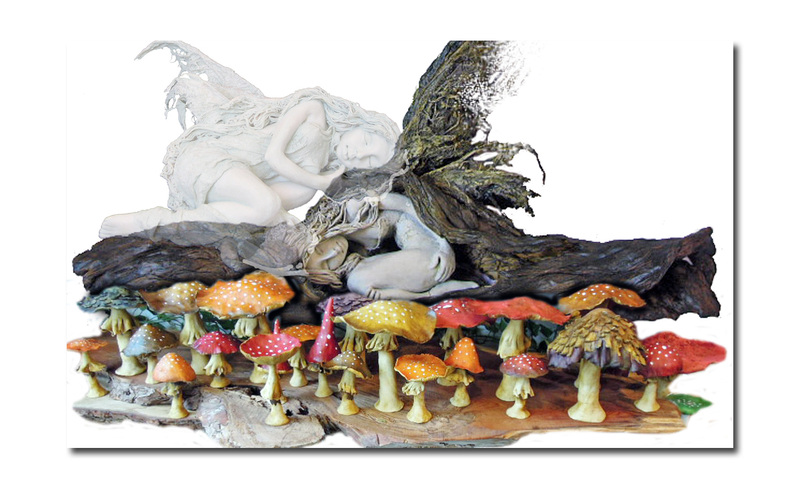 To follow, come on up to my shop in Stroud (top o' the High Street) and see our wondeful range of Faery Garden Starter Kits, just to begin with, mushrooms, toadstools, bridges, flying frogs , faery doors, unicorns, fauns to name a few. 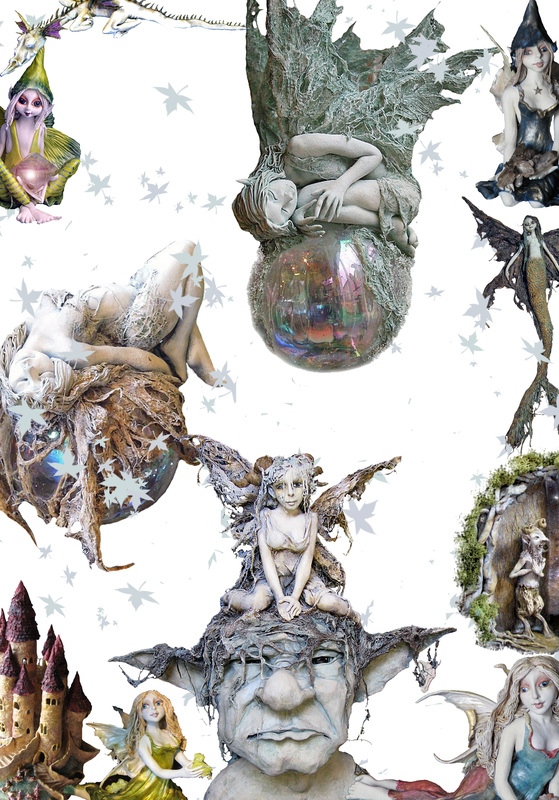 Elves, Pixies and Faeries for the garden tree or nooks and crannies in your home. 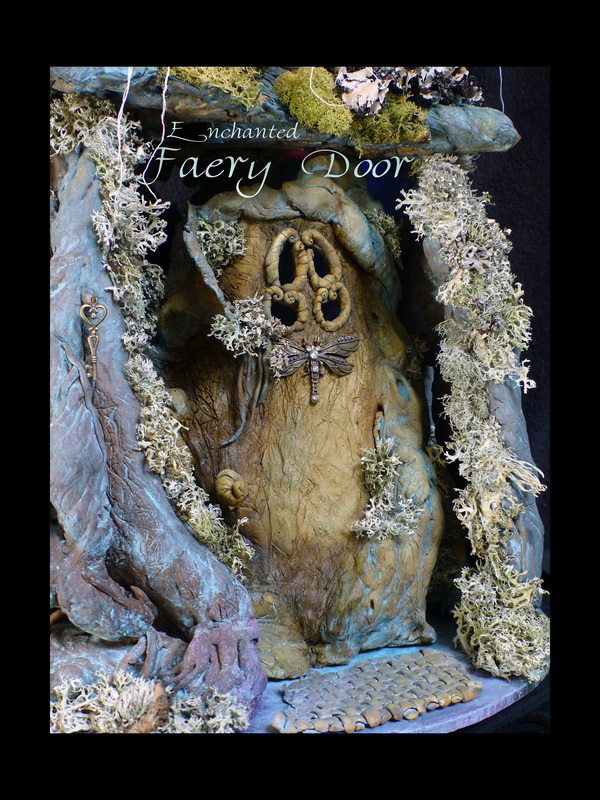 Or best still for the Faery dwelling. Dragons in the shop or order your own unique personal Crystal Dragon. Your personal Crystal Birthday Faery. Please get in touch if you have any questions or want to make a bespoke offer.